Below is a comprehensive list of hotels in Ham House. Use the sort links to refine your search or to find featured accommodation in Ham House. Many of our hotels in Ham House feature no booking fees and best price guarantee when booked through the Pictures of England website. To list your hotel in Ham House, click here. Featuring free WiFi throughout the property, Westfield Holiday Home is a holiday home set in London, 2.1 km from Hammersmith Apollo. The unit is 2.2 k.. Featuring free WiFi, Giraud is set in London, 2.1 km from O2 Arena. Each room is fitted with a shared bathroom. 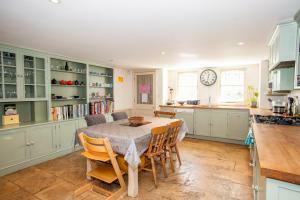 You will find a shared kitchen at th.. Located in London, this apartment features free WiFi and a terrace. The apartment is 400 metres from Stamford Bridge. The kitchen comes with a dishwa..
Set 400 metres from Theatre Royal Drury Lane and 400 metres from Royal Opera House, Newton Street offers accommodation in London. 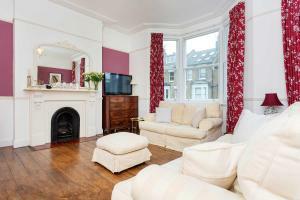 Guests benefit from ..
Set in London, this apartment is 300 metres from Olympia Exhibition Centre. The apartment is 1.3 km from Hammersmith Apollo. A TV is available. Rive..
Courthope Castle offers accommodation in London, 1.9 km from Camden Market and 2.2 km from London Zoo. Guests benefit from terrace. Free WiFi is featu..
Brunswick Gardens offers accommodation in London, 1.2 km from Portobello Road Market and 1.3 km from Royal Albert Hall. 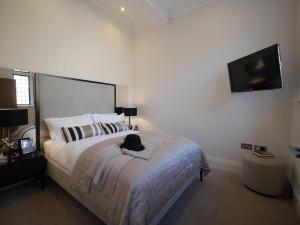 The unit is 1.6 km from Olympi..
Set 700 metres from Lord's Cricket Ground in London, this apartment features free WiFi. 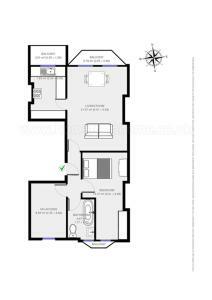 The apartment is 1.1 km from Regents Park. The kitchen is fit.. Tidy Terrace offers accommodation in London. The unit is 1.5 km from Houses of Parliament. Free WiFi is featured . A dishwasher, an oven and a microw..
Cosy studio flat offers accommodation in London. Certain units have a seating area where you can relax. 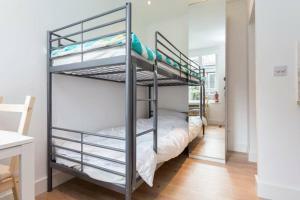 Cosy studio flat features free WiFi throughou.. The Helium Apartment is an apartment situated in London, 1.2 km from British Museum. The unit is 1.2 km from Theatre Royal Drury Lane. Free WiFi is av.. 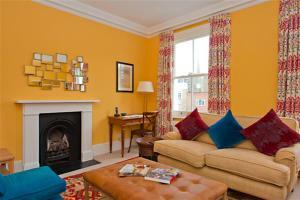 Featuring free WiFi throughout the property, The Old Fireplace is a holiday home, set in London. The unit is 1.2 km from Chelsea FC. 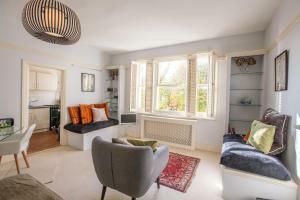 There is a seati..
Set 1.1 km from Camden Market in London, this apartment features free WiFi and a balcony. The apartment is 1.7 km from Islington. There is a dining a.. 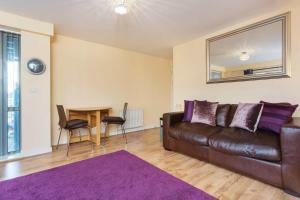 Located 700 metres from Olympia Exhibition Centre in London, this apartment features free WiFi. The property features views of the garden and is 1.5 k.. 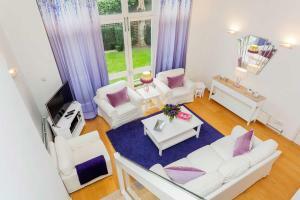 In Style offers accommodation in London, 1.4 km from St Johns Wood. The apartment is 1.7 km from London Zoo. Free WiFi is provided throughout the prop.. 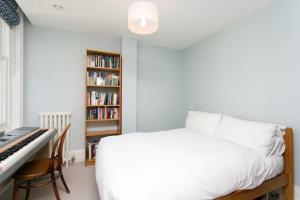 Located 6 km from Alexandra Palace, Carmel Gate offers accommodation in London. Providing free private parking, the apartment is 6 km from Wembley Sta..
Set in London, Flags & Bunting offers self-catering accommodation with free WiFi. 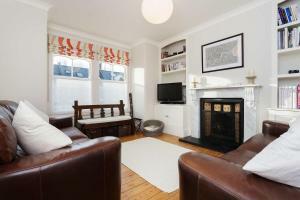 The unit is 1.5 km from Portobello Road Market. 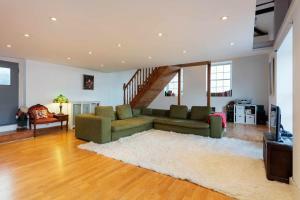 The unit fitted wit..
St George's Road offers accommodation in London. London Eye is 1.2 km away. The accommodation is equipped with a TV. A dishwasher and coffee machine .. Vibrant Victoria offers accommodation in London, 900 metres from Buckingham Palace and 1.1 km from Westminster Abbey. 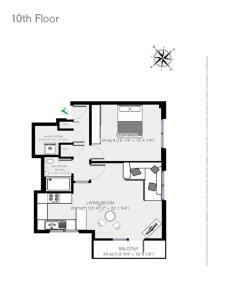 The unit is 1.1 km from St James..